RACING AT Meydan last Friday, the very first post Dubai World Cup meeting ever at the UAE’s flagship racecourse, was highlighted by a 1600m turf conditions race which was turned into a procession by Ajwad who was sent straight to the front by Bernardo Pinheiro and never saw any of his 15 rivals afterwards. A 6yo entire son of Rock Of Gibraltar, he sports the colours of the Bouresly Racing Syndicate whose horses are trained by Rashed Bouresly and was a comprehensive winner of a course and distance handicap on his penultimate start, again when never headed under Pinheiro, before finishing fifth behind subsequent Group 1 Al Quoz Sprint winner, Blue Point, in the 1200m Group 3 Nad Al Sheba Turf Sprint just seven days later on Super Saturday. The main support race, a 1200m turf handicap produced a dramatic finish with opinion divided as to whom had prevailed when Rocket Power and Riflescope flashed past the line together. The judge’s verdict went the way of the former who appeared to hit the front, in the centre, 250m out and was just able to hold the late challenge, towards the nearside rail, of Riflescope who failed by a short head. 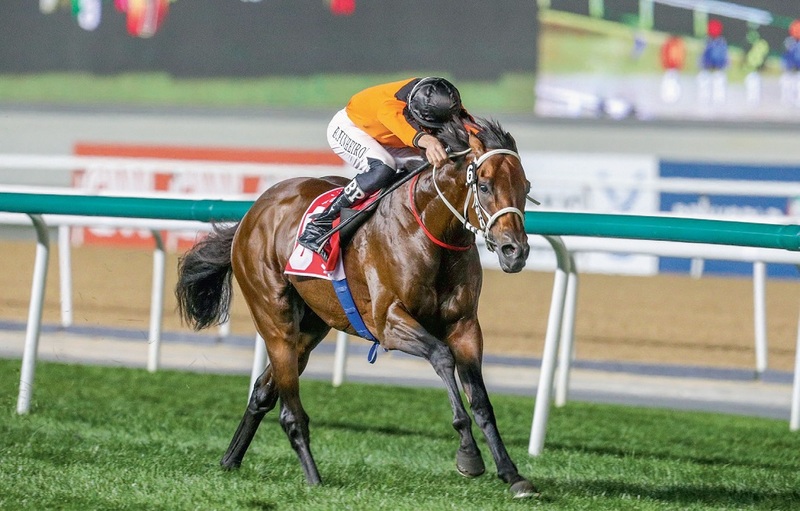 Trained by Ahmad bin Harmash for Mohd Khalifa Al Basti, the 6yo gelded son of Kyllachy has enjoyed a prolific campaign and was registering his fifth victory of the season, ridden by Connor Beasley on each occasion. 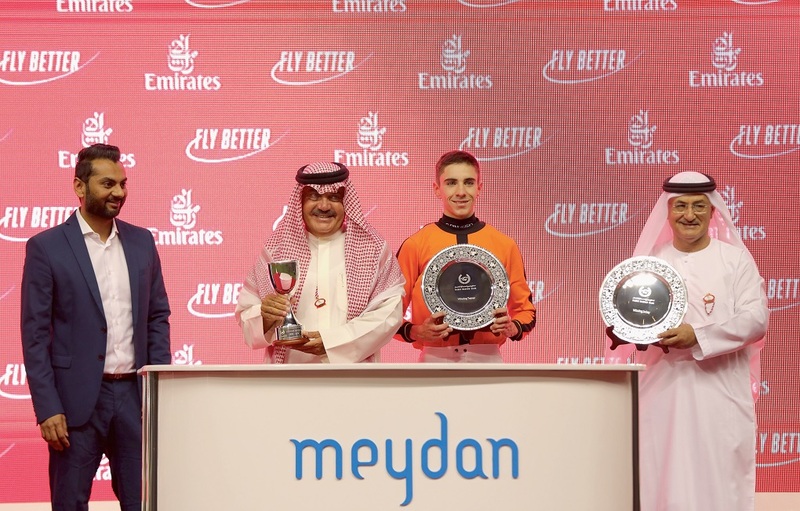 A 1400m Meydan turf winner in January, he had also landed his three previous outings, all at Jebel Ali, twice over 1600m and once over 1400m. Beasley said: “He has just been brilliant this season and all credit to both the horse and the yard because he has been on the go since the start of November and had already run ten times before tonight. 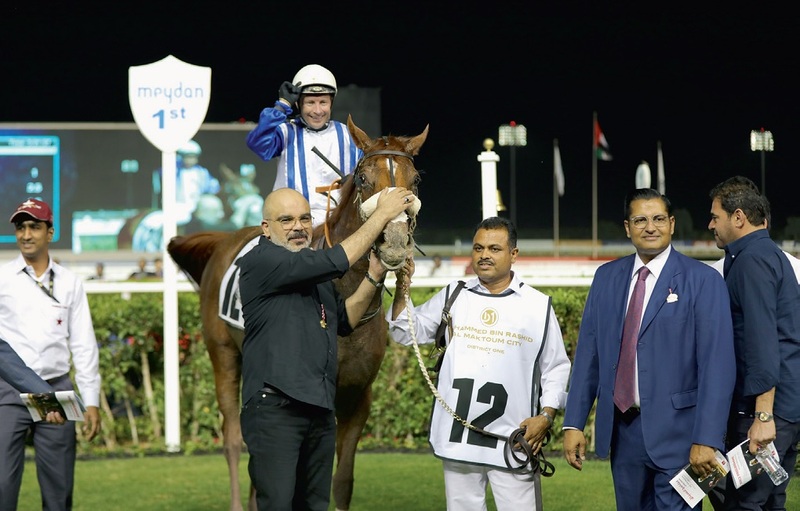 “He was a 1200m winner at Jebel Ali last year and has plenty of speed and, once we hit the front, I knew he would run all the way to the line as he stays further.” The finale, a 2400m turf handicap, was won stylishly by Jamesian, ridden confidently by Antonio Fresu for Musabbeh Al Mheiri and completing a double for Al Basti. Always travelling strongly in midfield and saving ground on the rail, the striking, almost white, 5yo gelded son of Dark Angel quickened tellingly when asked by his jockey to shoot past Estikmaal about 175m out after which the race was over. 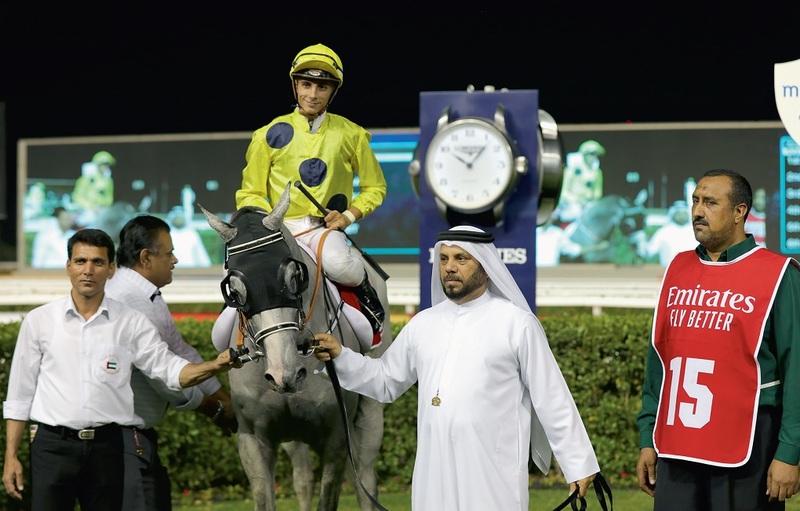 A 2200m winner on the Abu Dhabi turf on his seasonal return at the beginning of November, he then missed 104 days before twice finishing second at Al Ain over the same trip before this winning effort. 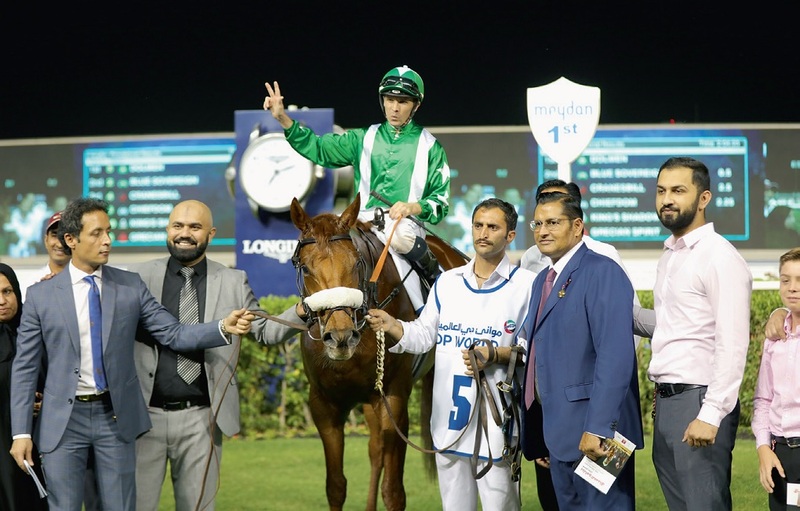 The 2000m turf maiden is a race that owner Adnan Khan will never forget after his predominantly green colours were carried to victory for the very first time, with just his fifth starter, when Dolmen landed the spoils under Richard Mullen for Satish Seemar. A 4yo gelded son of Dawn Approach, he was unraced before February before showing promise on three dirt outings, especially on his previous run when third over 1800m at Jebel Ali. However, the switch to turf, as you would expect as a son of Dawn Approach, suited and, having been settled in midfield, he made smooth progress to lead 200m out and was never going to be caught. 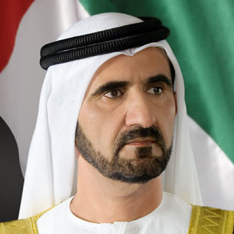 “It seems to have been a long wait to have my first winner and it has made me quite tearful,” Khan said. “Bhupat and Satish picked this horse out for me and we always thought turf was going to suit him and that has proved to be the case. 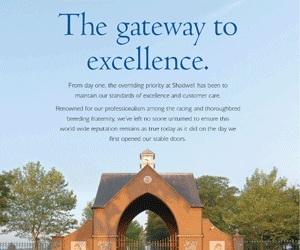 “Now he has won hopefully he can do so again and, as well as turf, he has shown last time that he can handle Jebel Ali so that could open up other options.” For a race over 2200m, the dirt handicap was seemingly contested at a frantic early gallop with Secret Trade and Immortalised both appearing ‘tailed off’ with a circuit to go but it was, in the end, that pair who dominated the finish. 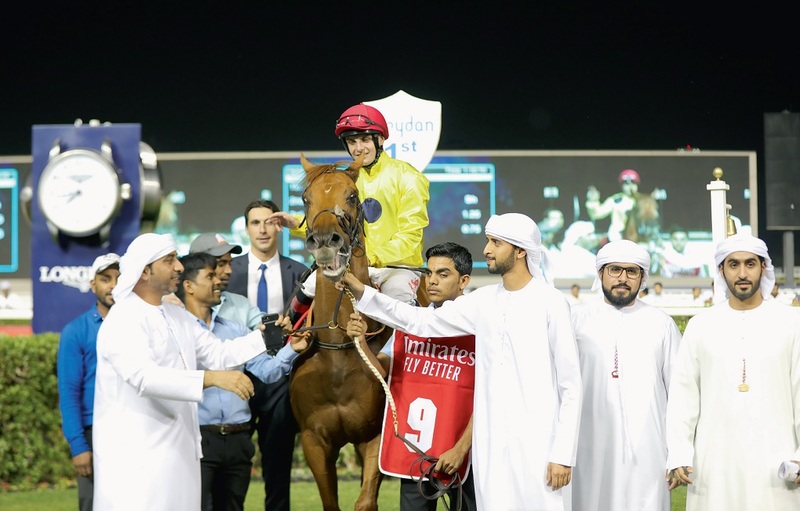 With rivals tiring and dropping by the wayside from a long way out, Secret Trade made smooth progress under Olivier Doleuze and, when they hit the front 150m from home, appeared to have the race in safekeeping to make it four consecutive victories after three Al Ain wins. 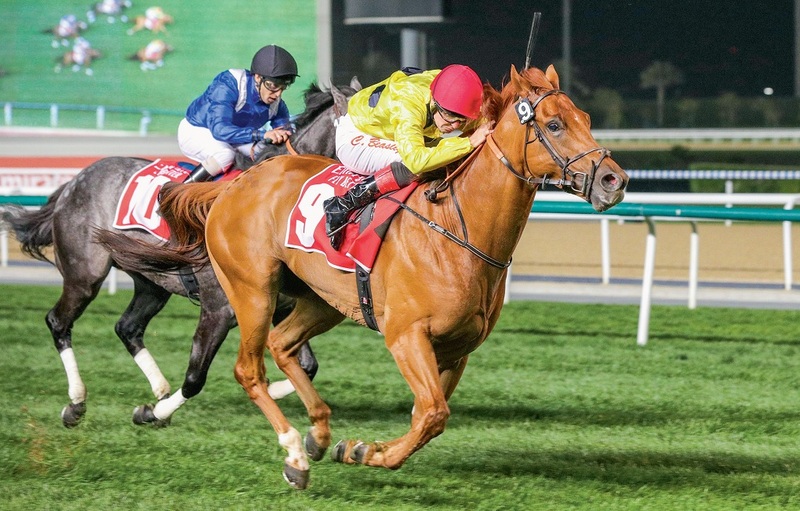 However, Tadhg O’Shea was galvanising Immortalised, who was still only tenth on the home turn, and the pair, probably five lengths adrift with 100m to run, flew home to lead near the line and complete a double for Seemar. 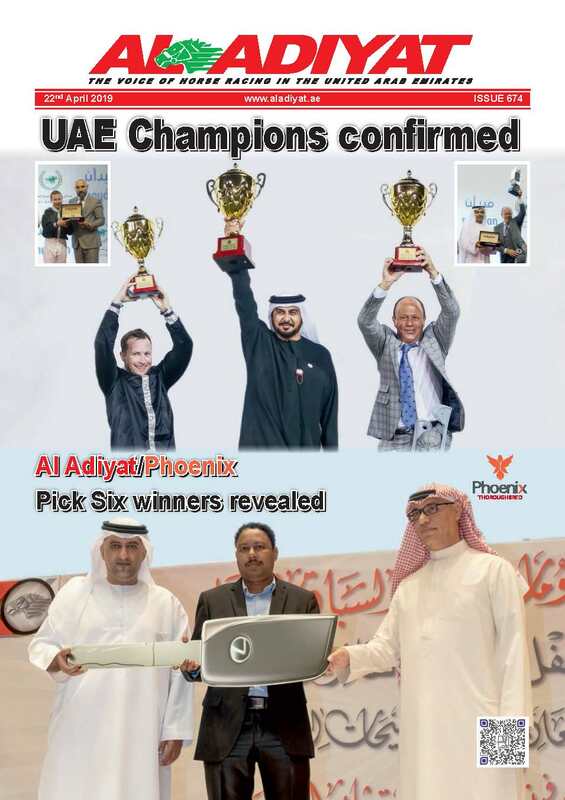 Trained by Seemar for Imhamed M I Nagem, Immortalised, now a 5yo entire, made history at Al Ain last February when winning a maiden to become the first progeny of Frankel to win in the UAE. 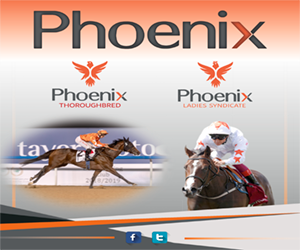 Seemar said: “This horse does not make life easy for his jockey because he tends to be slowly away and lose ground. The key then is not to give up on him because he stays well and Tadhg has given him a great ride tonight.” Eleven may have gone to post for the opening 1600m dirt maiden but only one horse ever really looked likely to be successful with Moojib, who disputed the early lead with stable companion Right Flank, easing clear at the top of the straight without Pat Dobbs appearing to ask him for an effort. 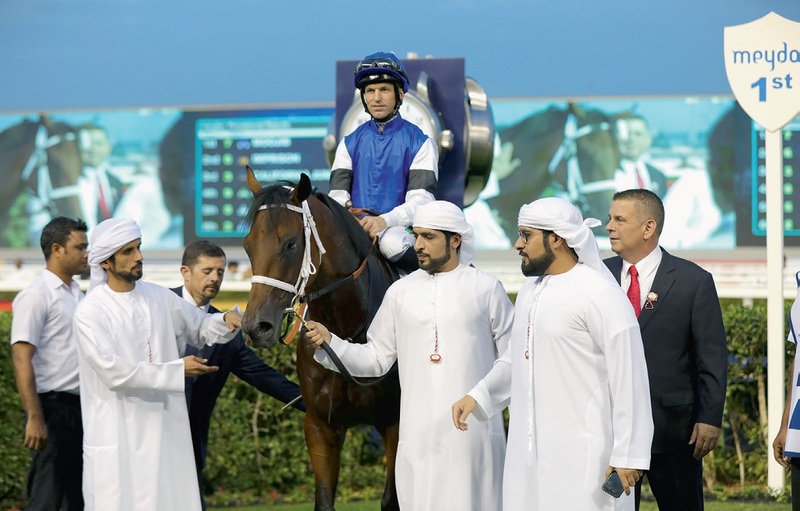 On just his third career start, the 4yo gelded son of Dubawi shot clear and ran out a very comfortable winner in the colours of A Al Subousi, A Al Marri & B Al Marri, crossing the line more than six lengths clear to the delight of trainer Doug Watson who said: “He had run well on both his previous starts over 1200m but we thought this extra trip would suit him. 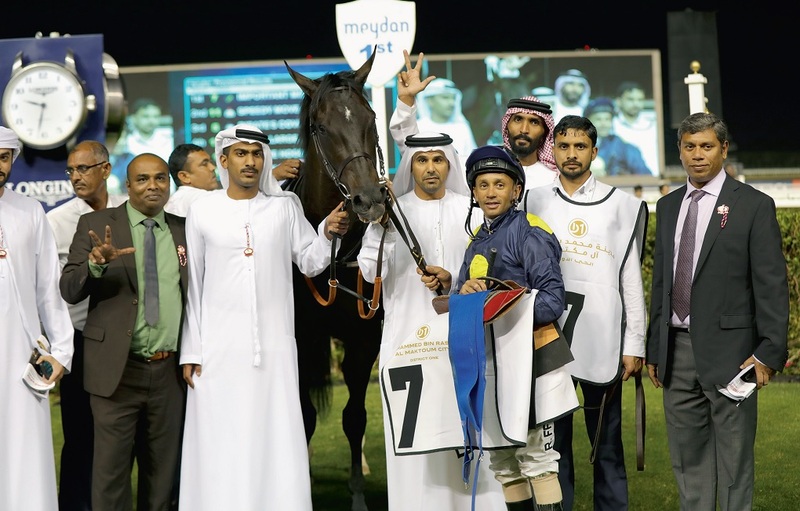 “He is a half-brother to Munaseer who ran some good races here at Meydan over this kind of trip. He is learning, improving all the time and is tough which always really helps. “ The 1400m dirt handicap looked one of the more competitive races on the card but once Royston Ffrench was able to get to the front and rail aboard Important Mission, the result was never really in doubt, the pair storming clear at halfway and never looking likely to be caught.